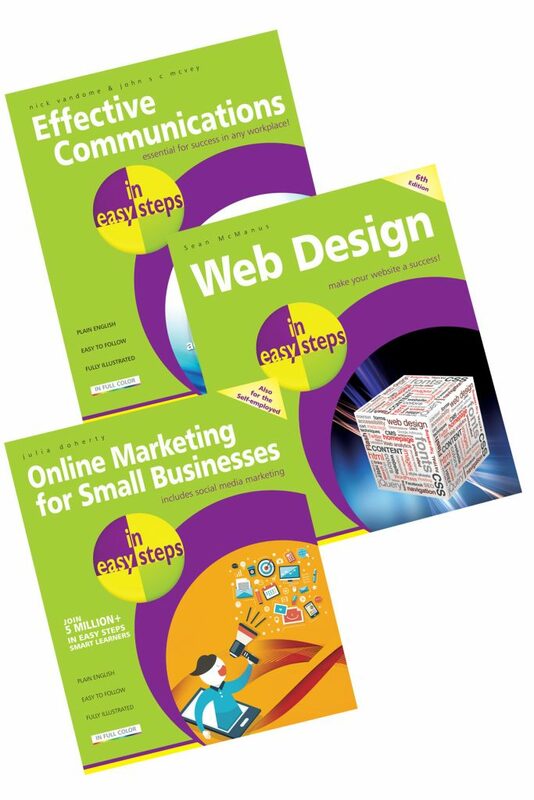 Buy all three books together for only £22.00! We all communicate, every day, all of the time. So why can communications go so wrong in the workplace? Sometimes it is because the wrong methods are used at the wrong times, and sometimes it is because the communications process becomes too complicated and bogged down in corporate jargon. 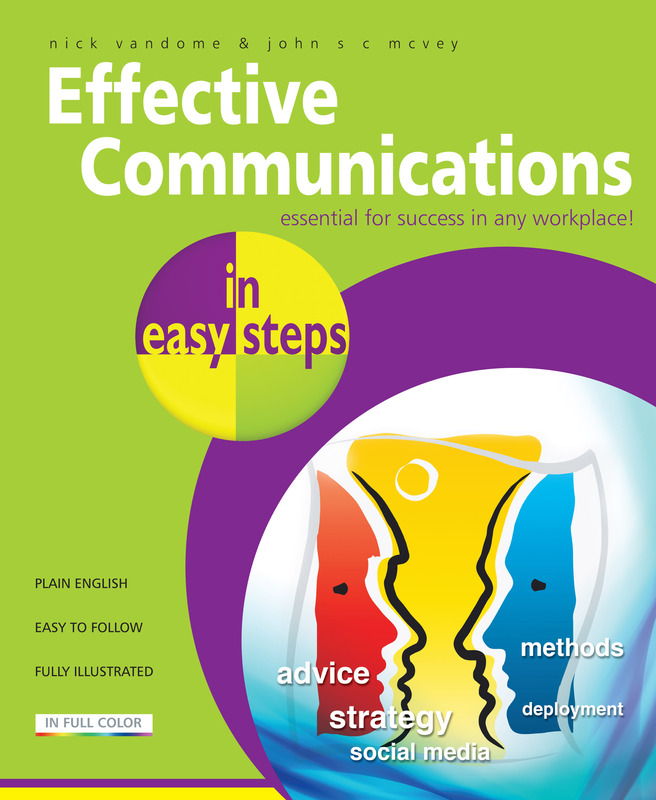 Effective Communications in easy steps offers clarity in the world of corporate communications. There is no blue-sky, synergy-based, customer-centric thinking here; just informed, clear, practical and common sense advice on how to use communications to actually get the right message across to the correct audience. Get your message across using the right channel to engage your audience. Communications in the workplace should be a simple thing and, with Effective Communications in easy steps to guide you, it really can be. 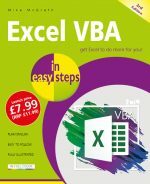 In addition to writing several best-selling In Easy Steps books, Nick Vandome has worked in internal and external communications for over 15 years. He has worked extensively in web design and publishing, for both intranets and external websites, and has developed best practice for over a decade. In Easy Steps guides by Nick include: A Parent's Guide to the iPad, Digital SLR Photography, iMac, iPad for Seniors, Laptops, Laptops for Seniors, Mac OS, MacBooks and Photoshop Elements. Nick is also a content editor, a role that involves ensuring that communications are clear, concise and get the message across, in both an online medium and hard copy publications. His communications philosophy is ‘less is more’ and he strives to cut through corporate jargon and seek clarity in the workplace. John McVey started his career in project management, where he was responsible for developing and implementing communications strategies for individual projects. From here, he moved into communications management where he has become an expert in strategy and also evaluating the effectiveness of communications strategies. John’s forte is knowing the objectives for different communications channels and he excels in assessing whether these channels are working properly or not. John has also worked closely in developing and implementing content management systems. This has given him a real insight into what works, and what doesn’t, in terms of managing large amounts of diverse information. It has also given him experience of working with web teams and video teams in developing websites, intranets and video content. Both Nick and John are passionate about using communications for its true purpose — to give people the information they need to make their working lives more efficient and enjoyable. There are literally millions of websites on the Internet, but most are ugly and ineffective. So how do you create a site that looks good and makes money? The fundamentals of professional web page layout and create content that’ll get your message across. All about effective navigation to make your website easy to use so your visitors stay longer. The techniques to make your website attractive for all and ensure it works on different devices. Ecommerce and social media basics to open your online shop, and start marketing it! Avoid creating another ineffective website on the net. 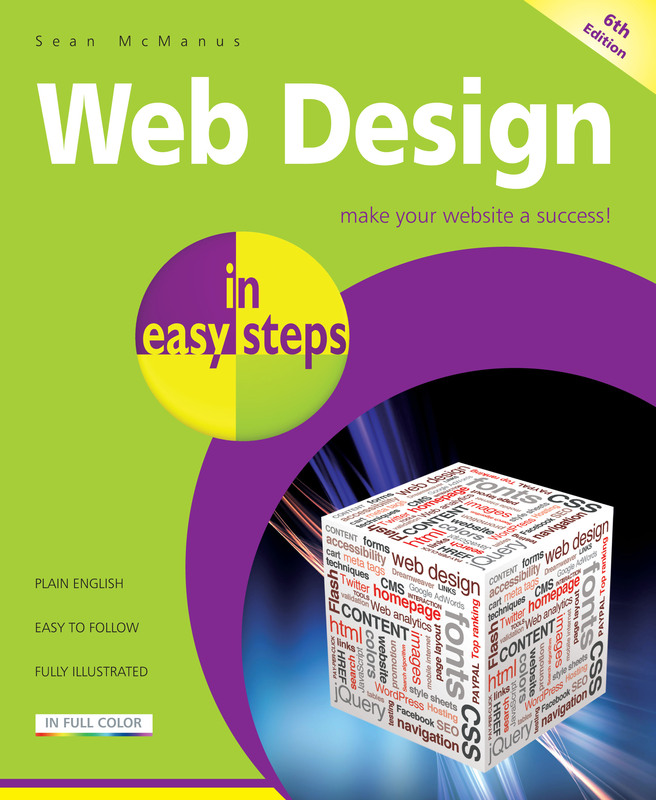 Use Web Design in easy steps to create a successful site that looks good and achieves its purpose. Sean McManus has been writing about business and technology for over ten years. He has written for magazines including Making Music, Melody Maker, Internet Magazine, Personal Computer World, Internet Works, Marketing Week, Start & Run Your Business, and Business 2.0. His books include Scratch Programming in easy steps and Cool Scratch Projects in easy steps. Online presence has become vital for all businesses; large, small or the self-employed. Whether you like it or not, if you don't take steps and manage your online presence, your customers and clients will. It's not enough to just have a website; social networking sites are the new word of mouth marketing channels and they're very powerful in spreading the word. To achieve this successfully adds more work to your busy day, but marketing your products and services online enables to you to reach potential customers with very little financial outlay. Lots of online marketing can be done for free and you can save costs in advertising in publications, and printing leaflets and brochures. Online Marketing for Small Businesses in easy steps guides you through the essential steps you need to take to set your online strategy, make your website work for you, and then covers the key social networking sites to generate a stronger and more loyal customer base. It concentrates on activities that are essential and free, and steers clear of costly forms of online marketing. 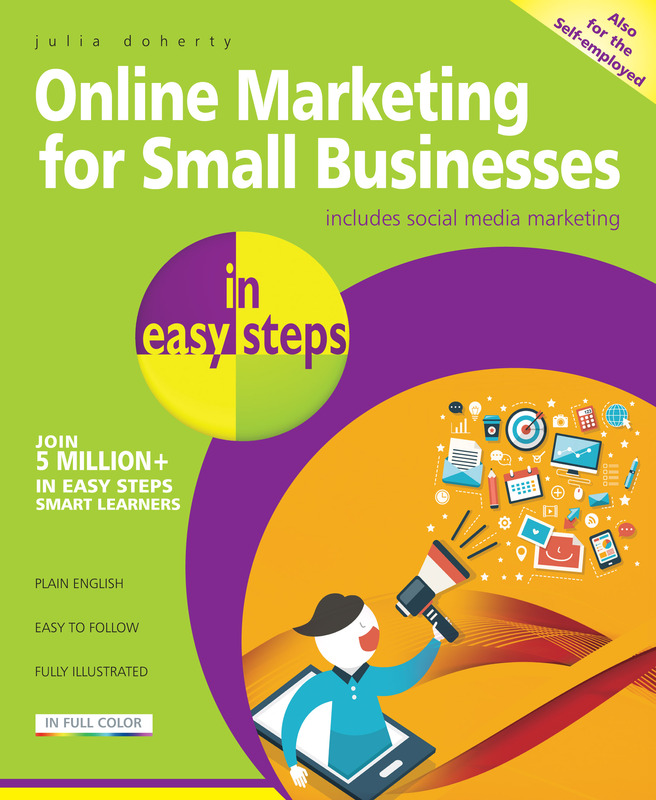 This new guide in the In Easy Steps series will help you learn about online marketing in digestible chunks. Then, start working on the social networking site(s) where your customers are most active. Covers Facebook, Twitter, LinkedIn, Pinterest and Google Plus. Julia Doherty has successfully used online marketing since 2008 and was one of the early adopters of social media marketing to 'shout' her causes! She now runs a dynamic Digital Online Marketing Agency in the UK. She was also the European finalist in 'Podcast of the year' in 2010.